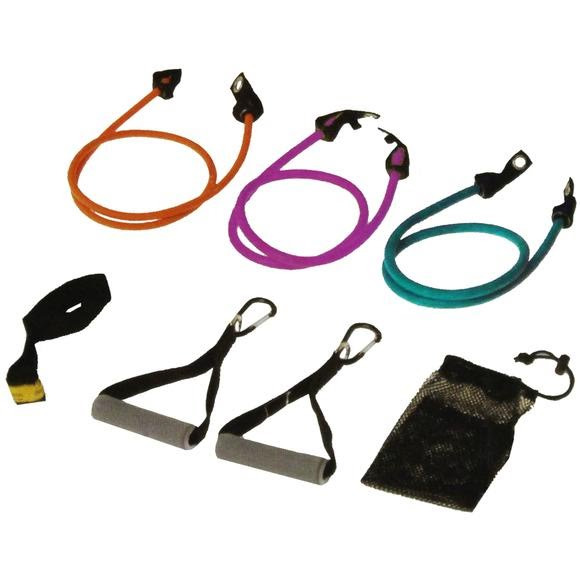 The BodyFit resistance fitness kit has everything you need for a great workout. Whether you want to focus on your upper body or lower region, this set has you covered. It includes 3 resistance tubes, 2 foam-grip handles, a convenient carrying tote and a user-friendly fitness guide.